A follow-up to the L-29 history blog is naturally the L-39 history. Several L-39s are at Lancaster and 3 of them are ex-Bulgarian so I thought this might be interesting. 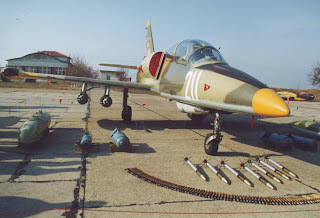 While most L-39s produced were of the L-39C version, Bulgaria ordered 36 of the L-39ZA which began arriving in 1986 at the 3rd UBAP in Kamenetz airbase where it replaced MiG-15UTI and MiG-17 jets. 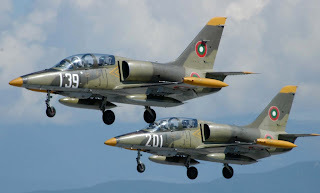 By the end of the year 12 L-39s had been delivered. The first was bord 827 (c/n 633827) which first flew on September 1, 1986. The regiment officially accepted the L-39 in service in 1987 and during that year Bulgaria also received a further 6 L-39ZAs and a TL-39 simulator which was installed at Dolna Mitropoliya airport. The plane has a greater capability than the L-29. It has the characteristics of a lightweight fighter with a wide range of use for close combat support because of its mountable weapons. The handling is heavier than the L-29 however (especially with the ZA modification’s mounted 23-mm gun) but was warmly welcomed by the Bulgarian pilots because of its excellent aerodynamics, safety, economics and equipment. Even so, while it was normal training procedure for the cadets flying the L-29, it was forbidden to practice entering and exiting a spin in the L-39. It was initially used by cadets who were pending to fly on the strike aircraft Su-22M4, MiG-23BN and Su-25 while the L-29s and some MiG-21PFMSs were used for the cadets meant to fly on MiG-21 and MiG-23 interceptors. 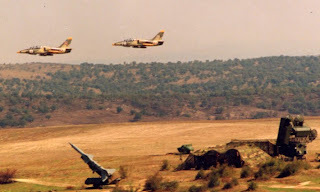 After the retirement of the MiG-21PFM at Kamenetz, all cadets began using the L-39 for training and usually flying the L-29 before flying the L-39. As the numbers of airworthy L-29s began decreasing in the 1990s, the L-39 gradually became the main trainer. Another 18 machines were delivered in 1990, 16 of which went to re-equip the 1st squadron at Shtraklevo airbase. 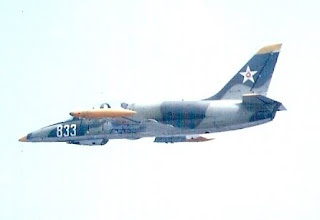 The additional delivered aircraft led to a plan in the early 90s to use the L-39 alongside the main combat aircraft at the various combat regiments. Initially pilots would go to Kamenetz to perform flights on the L-39 however in 1996 L-39s were distributed throughout various airbases which included Dobrich (MiG-21, Su-22), Ravnetz (MiG-29), Bezmer (Su-25), Cheshnegirovo (MiG-23BN) and Graf Ignatievo (MiG-21). The idea was to use the L-39 so that the new pilots who had recently graduated can fly on it until reaching the required 200 flight hours before being allowed to fly on the main combat aircraft in the given regiment. Additionally combat pilots used it to maintain proficiency which was much cheaper to do in an L-39 than a MiG or Sukhoi aircraft. In 1998 Shtraklevo airbase was closed and any remaining L-39s went to Kamenetz. In 2000-2002 Dobrich, Ravnetz and Cheshnegirovo were also closed. 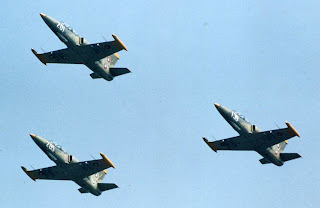 L-39s remained at Graf Ignatievo since the pilots of the newly relocated regiment from Ravnetz needed to maintain proficiency. The lack of enough airworthy MiG-29s was the main reason L-39s remained there. During the years L-39s participated in various exercises the most famous of which are the Cooperative Key series. 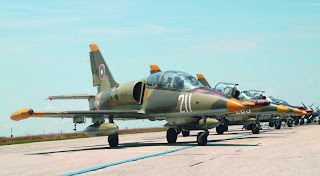 In 2006-2007 Kamenetz airbase was also closed and all remaining L-39s were transferred to Dolna Mitropoliya airbase. Only one airframe was lost since the plane entered service. The accident happened with bord 917 on October 2, 1990 during a low level formation flight. After a pilot error, in order not to hit the lead plane the cadet in the chase plane throttled back the engine all the way to position “stop” which naturally resulted in the engine stopping. Despite the instructor’s best efforts to restart the engine, it didn’t work. The low altitude left little hope of a successful ejection and the plane crashed with both pilots perishing. 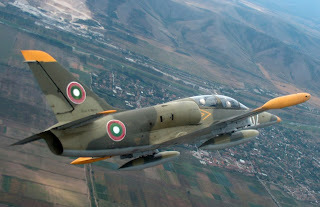 Of the 35 L-39s that survived 12 are still in service with the Bulgarian air force although none are currently flying. At least 7 have been sold to the USA with 3 at Cold War Air Museum. 5 were sold to Ethiopia and the rest are either stored or sold to unknown customers.